There are two biological materials Dr. Härtl is currently investigating in animal models. Degenerative disc disease is the leading cause of back pain and often requires invasive procedures, such as the implanting of screw-and-rod systems to stabilize the spine. Dr. Hartl and Dr. Bonassar’s team are investigating the synthesis and use of biologic discs, which could replace degenerated intervertebral discs that cause back pain. The minimally invasive implanting of tissue-engineered discs instead could potentially regenerate a diseased segment of the spine, eliminating the need for open surgery. The tissue-engineered discs are composites of collagen gel harvested from rat tail tendons seeded with intervertebral disc cells harvested from sheep spines. Biological discs have been implanted in rats and have been shown to not only survive but to maintain functionality in the implanted segment. Dr. Härtl’s team recently began testing the synthesis and implantation of tissue-engineered discs seeded with stem cells harvested from sheep bone marrow. This investigation is critical because stem cells are more feasible for human applications: Stem cells could potentially be harvested from a patient, seeded in tissue-engineered discs, then implanted into the same patient as autografts. Thus a patient’s own cells would be used to form new functional tissue, which could heal degenerative spinal conditions. Surgery for a herniated disc is one of the most common procedures performed in the United States. Although the majority of patients show remarkable improvement after the procedure, 6 to 13 percent suffer from recurrent herniations and ongoing pain. Recurrent herniations often require revision procedures, which carry a relatively high complication rate. Dr. Härtl’s team is working on a new collagen gel that could improve outcomes of the original surgery, reducing the need for revision procedures. The fundamental problem with conventional herniated disc surgery is that it removes the herniated material that is impinging on the nerve root, but it does not repair the defect in the intervertebral disc that allowed disc material to extrude in the first place. 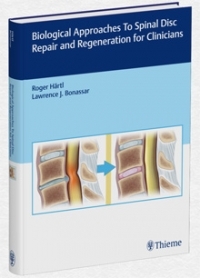 Dr. Härtl’s research group has developed a collagen gel composition that can be used to seal these defects during herniated disc operations. These collagen gels have already been tested in rats and were shown to be capable of repairing defects of the intervertebral discs. Dr. Härtl’s research depends on the generosity of his supporters. Find out how you can make a donation to further spine research. 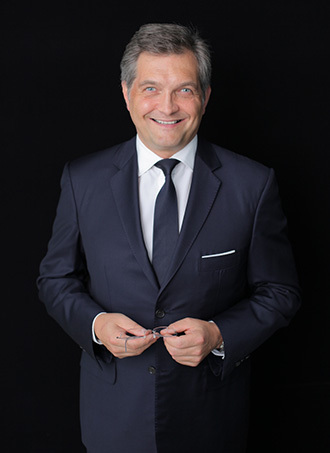 Dr. Härtl has published many papers about his research. Get an up-to-date list of those publications on PubMed. to continue their important work.